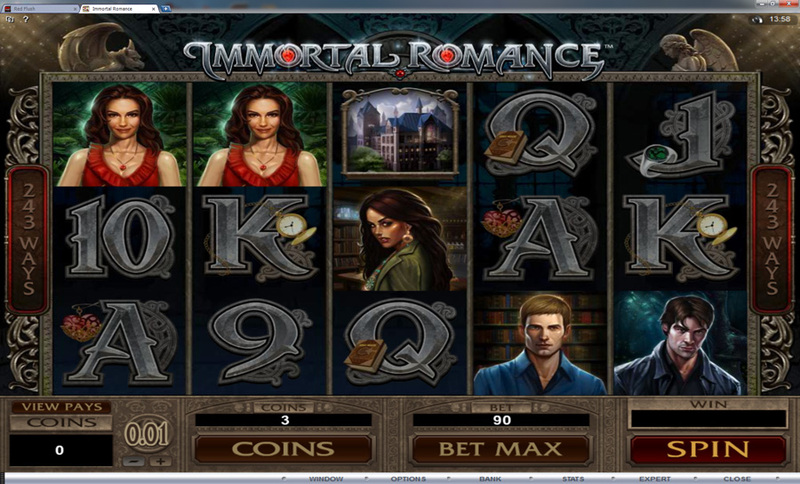 Immortal Romance is one of the newest additions to the slot world from Microgaming. From the same company that created Thunderstruck, The Immortal Romance provides players with amazing action, huge payouts and endless entertainment. Released in December 2011, this game became an instant hit in many online casinos. 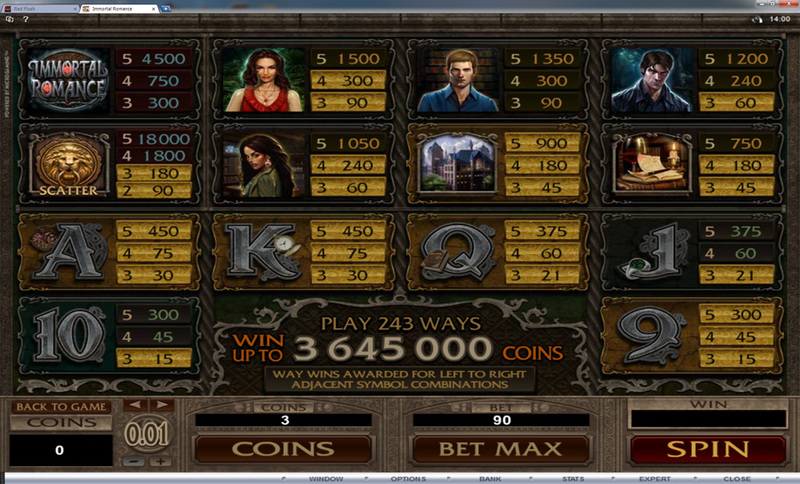 This game offers 243 ways to win and is a themed slot based on witches and vampires. The game is played on 5 reels and includes many additional features that can increase winnings. The game features some amazing graphics and awesome characters, including Troy, Amber, Sarah and Michael as the main characters. Each of these characters will trigger a separate bonus round. In addition, players will be able to use other symbols to create great winning combinations. Some other game symbols include the Immortal Romance logo, and the Lion Door Knocker. The game logo will act as a wild symbol and will take the place of all other symbols seen in the game with the exception of the scatter icon. The wild is a multiplier that doubles the normal payouts when this symbol appears in a winning combination. The scatter icon is the door knocker and players will need to get at least two of these anywhere on the reels to receive a scatter pay. In addition, three or more will trigger the Chamber of Spins Bonus round. This is a unique bonus because players can win various amounts of spins depending on the number of times the bonus round has been triggered. The main characters in the game will provide players with the number of spins awarded. The Amber feature will provide players with 10 free spins and all wins will be multiplied by 5. 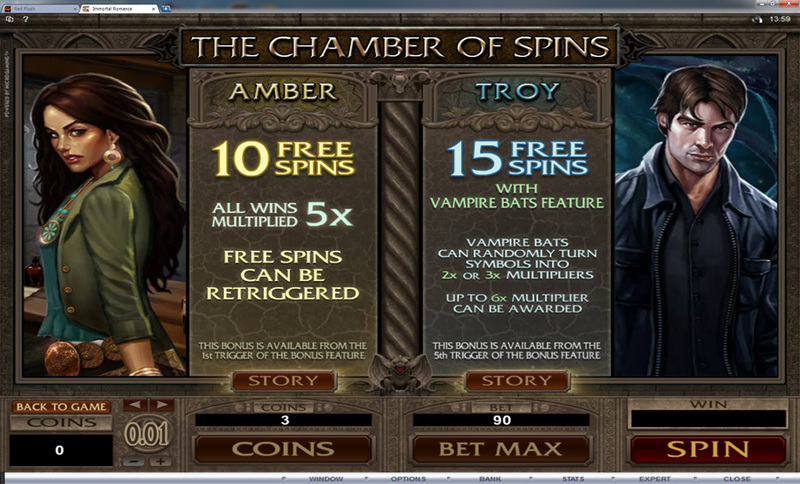 After completing 4 Amber spin rounds, players will reach the Troy free spin round, which offers 15 free spins and a Vampire Bat feature. The bats will make certain symbols turn into multipliers. After triggering this bonus five times, the Michael bonus becomes activated, awarding 20 spins and rolling reels. 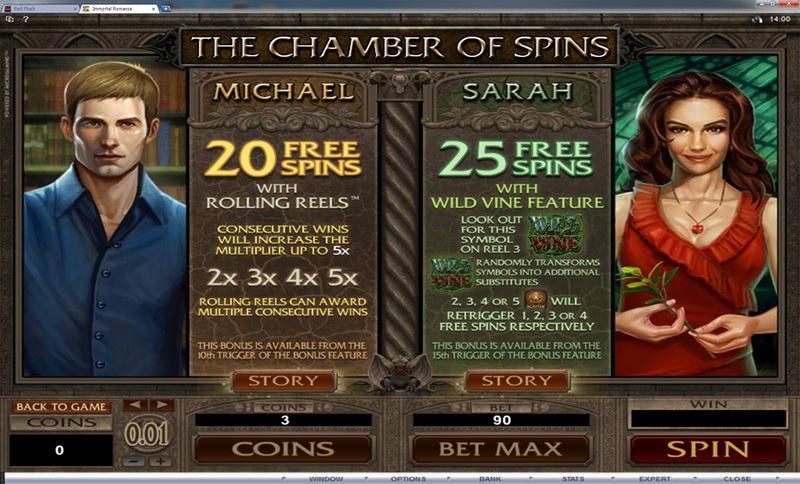 The final bonus is the Sarah feature, providing 25 free spins and a Wild Vine Feature. See the screenshots below for more information on each feature. 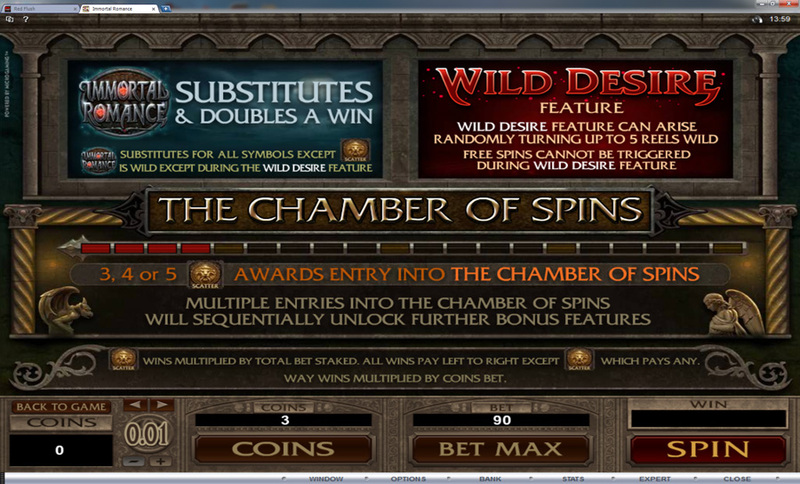 There is also the Wild Desire Feature which can be randomly triggered on any spin outside of free spins. This feature will transform at least one reel into a wild one, and it is possible for all 5 reels to become wild, giving you the biggest payout possible. I know some people who have hit it, but I haven’t been as lucky yet. While Immortal Romance does not offer a progressive jackpot, players will find they will win amazing amounts from the regular payouts as well as the bonus features. Though the game has only been out for a few months, players have already deemed it a favourite in many Microgaming online casinos. 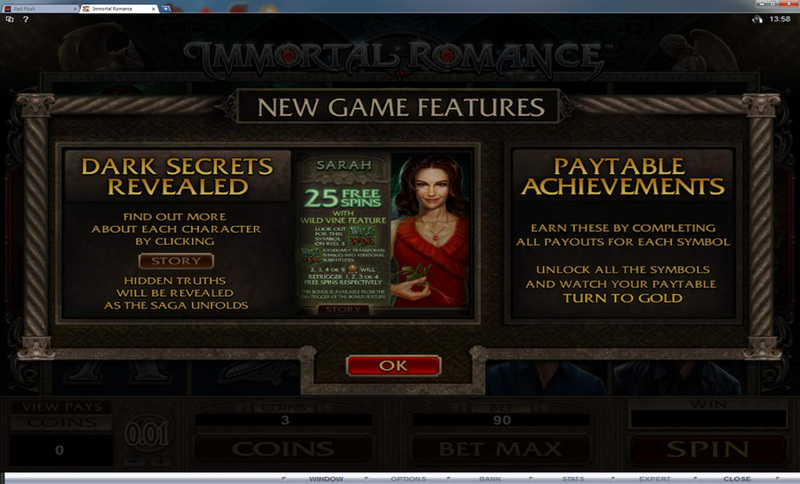 Immortal Romance provides players with the level of action they are seeking and many high paying rewards.